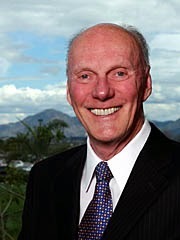 Fred Kavli, San Fernando Valley physicist and businessman who owned Kavlico Corp. in Van Nuys, passed away at age 86. The company developed sensors for the automotive and aerospace fields and was very successful. He was a philanthropist and supported youth groups and neglected children locally. Kavli also established a foundation and gave away $200 million while setting up 15 institutions worldwide. The Kavli Foundation is dedicated to advancing science for the benefit of humanity, promoting public understanding of scientific research, supporting scientists and their work. A terrific community leader, will be missed.